Your RV is fully serviced, parked and set-up for you to enjoy the moment you arrive on Friday until you depart on Sunday. We provide the fuel, stock the basic necessities, and handle all the RV maintenance. Who wants to take an extra day off work to clean and maintain the RV? You bring your consumables, your clothes, and your tailgate spirit! Nittany RV provides full support and service during your stay, just like a luxury resort. We pay attention to little details from having backup supplies of the basic “must-have” tailgating essentials to a hotline number for the cab company. We have management on site 24 hours a day to ensure your comfort and safety. You will experience an unparalleled level of service with Nittany RV. 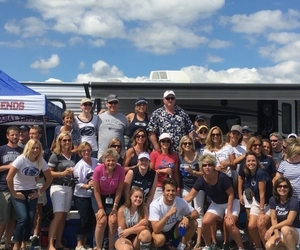 Family, friends, food, and Penn State Football Fans – Create lasting memories with the ultimate tailgate! Sleep in, enjoy a leisurely breakfast and fire up the grill early, because you are already at the best tailgate in town . . . . YOURS! Now, you can really enjoy the barnburner game that goes into double overtime because you won’t be fighting late night post-game traffic! You can take a shuttle directly back to your RV! 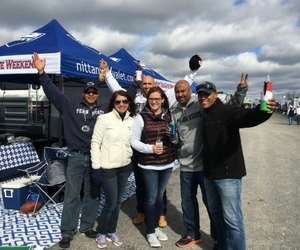 Nittany RV TurnKey TailGate Weekends in Happy Valley! Reservations for the 2019 Penn State Nittany Lion Football Season will be open February 28th at 8 am ET, via phone only (814.303.9303). Reservations will be answered in the order they are received, no email reservations at this time. Yes, I want to Book my RV! Your staff were all great and a big reason why the weekend was such a success. And, for the N'th time, I want to thank you again for a wonderful weekend. You and your husband, and your staff were all great and a big reason why the weekend was such a success. In short, you are the woman! The RV was perfect for our group. Just wanted to thank you all for such warm hospitality this past weekend @ PSU. We all had a ball. The RV was perfect for our group. Enjoyed meeting you & Jeff, and the rest of the crew. You were definitely correct when you said you provided everything! I just wanted to send you a thank you for the Michigan weekend! Our group had a blast! We will definitely be in for next year too. You were definitely correct when you said you provided everything! Talk to you next year! Thanks Again. Thank you again. We had a great experience and we will definitely be looking into doing it again next year! What an amazing homecoming weekend! What an amazing homecoming weekend! I traveled from California for the game, it was worth every mile!! You said the booking dates for next season start on Feb 14. Are there any exceptions to that rule? Very high marks for the setup, equipment, and hospitality. Thank you for the wonderful service this past weekend. We all thoroughly enjoyed the experience and give you very high marks for the setup, equipment, and hospitality. We are already talking about doing another next season. They really had fun with the RV…..what a great weekender. Just wanted to let you know that everyone had a great time last weekend. They really had fun with the RV…..what a great weekender. Thanks so much for making it very enjoyable. The family is still raving about the time we had at the game and in our RV. 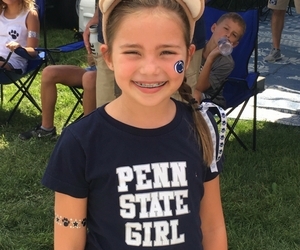 It has been a month since our incredible PSU/Michigan weekend and the family is still raving about the time we had at the game and in our RV. Thanks so much for your great service, and we look forward to doing it again next year with our friends. The RV’s were perfect and the configuration was just what we were looking for. I just wanted to thank you for all your help with our Iowa Tailgate. It was a HUGE success! The RV's were perfect and the configuration was just what we were looking for. You guys are the best and we plan on doing it again next year. Enjoy the rest of the football season. Thanks again for setting up everything for our tailgate! Thanks again for setting up everything for our tailgate! Our group had a great time, and we really enjoyed meeting you and your family/friends and appreciated all you provided! I especially appreciated the extra work you took off my plate in organizing this trip... Thanks again! We are looking forward to next year’s trip already! I just wanted to say Thank You one more time. We had an absolutely amazing time. You now have new regulars. Thank you again. The RV was great and we were pleasantly surprised by the baskets with the paper products . . . I wanted to say thank you for all your help this weekend, and let you know that we had a great experience with your company. The RV was great and we were pleasantly surprised by the baskets with the paper products, snacks, etc. Everything worked out really well for us and we will definitely rent through you again, as well as recommending your company to others. Thanks again!! You made everything turnkey and easy! Thanks for a great experience - you made everything turnkey and easy. We really had a fantastic time and are planning next year already. Thanks again. Thank you for all of the help over the weekend. Our entire group had a great time and we are looking forward to coming back next year with an even larger group! I just wanted to thank you for a wonderful RV/PSU weekend! I just wanted to thank you for a wonderful RV/PSU weekend! We all had such a wonderful time! Also, that app [Meatball] is fantastic!!!! Thanks again! Everyone is home safe and sound and all twelve people commented about what a great company you run. Throughout the weekend any and all concerns were addressed immediately and outside of the team on the playing field, everything was perfect...Thanks again and we look forward to seeing you next year. So much more fun than staying in a hotel! I just wanted to thank you for a great weekend. It honestly was an unforgettable weekend. My family and I had a great time and so much more fun than staying in a hotel. I will definitely spread the word on your RV's it was everything and more. Our group had a fantastic time in Happy Valley. You guys run a very special business and folks there were extremely nice. Thank you for making our trip to Happy Valley so “Happy”. Again...Thank you for making our trip to Happy Valley so "Happy". We loved the whole set up and plan on doing it again. Thank you again and remember if you ever need a reference....I'm your man!! You were unbelievably helpful and accommodating throughout our stay. I just wanted to say thank you from all of us that stayed in your RV last weekend! We had a great time. You were unbelievably helpful and accommodating throughout our stay. Again, I just wanted to say thank you, see you again next year! Fantastic weekend and game, your service is tremendous. Your extras make organizing and packing so much easier! I am very excited to have found your company and plan to rent from you again as those extras make organizing and packing so much easier!